We are pleased to announce that, effective July 23, 2018, Waste Management will be offering TWO additional trash pick-up days for single family residences. This change will now give owners THREE TRASH COLLECTION DAYS. Recycling collection will remain on the same day – FRIDAY. Trash must be placed in a SOLID CONTAINER WITH HINGED LID at all times, and when placed on curb for pick-up. TRASH and RECYCLE containers must be concealed from public view when not in use. Please have containers concealed no more than 24 hours after trash or recycle pickup. REUNION RESORT AND CLUB OF ORLANDO MASTER ASSOCIATION, INC. The additional service offers a much needed boost for residential and vacation rental owners here in Reunion Resort. 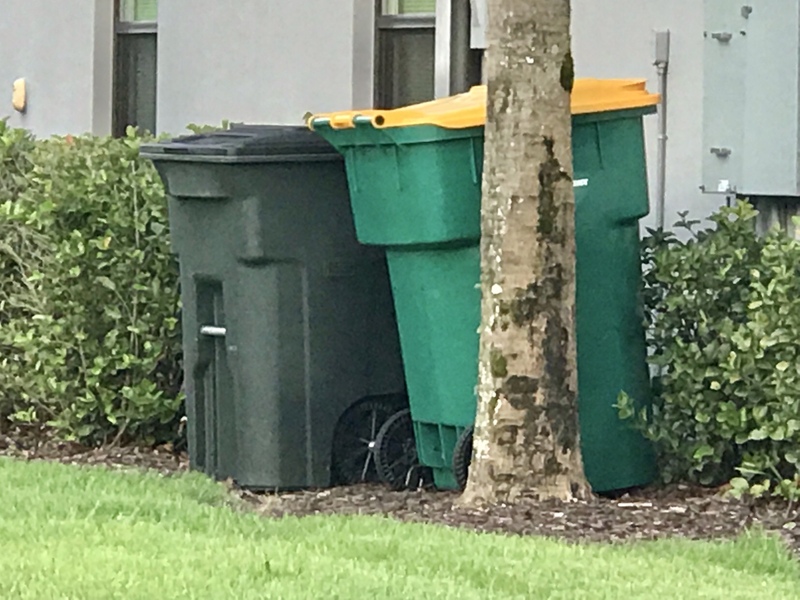 Owners and property managers do still need to take note of the need to return trash cans from public view in between collections and should note that recycling remains as a single collection per week on Fridays.